Follow our easy, step-by-step, photo illustrated recipe for making this old fashioned Macaroni and Tomatoes dish. Macaroni and Tomatoes, made with fresh tomatoes and a pinch of sugar. Here’s a really quick and simple dish that brings back lots of memories from my childhood. Perhaps it will yours too. It only takes a few ingredients, and of course, it’s always better when you can get hold of some fresh tomatoes while they are in season. Vine ripened fresh tomatoes just have a unique taste of their own. There are a few old fashioned dishes that Mama use to cook that I’ve just never been able to duplicate to my satisfaction over the years. She cooked great spaghetti in my opinion, but it was a simple recipe that I always seem to remember as containing tomato soup. I’ve tried it numerous times, with the soup, and other such things, but never can “nail it” as the saying goes. However, when I cooked up this Macaroni and Tomatoes recipe, I realized one of the ingredients that I had been overlooking. That ingredient was Bacon Grease. It’s what gives this that “old fashioned” taste that so many of us remember. I haven’t tried making the spaghetti since I did this pasta dish, but I’m going to pretty soon. I’ve just got to render down some more bacon fat first. You do save your bacon grease for seasoning – right? 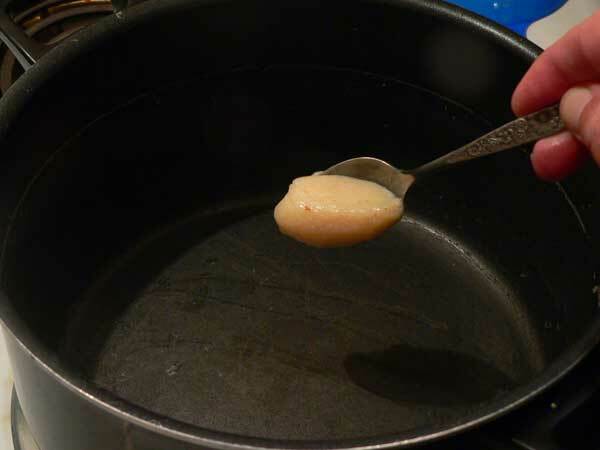 If you need help with that, check out this post on How To Render Bacon Fat. 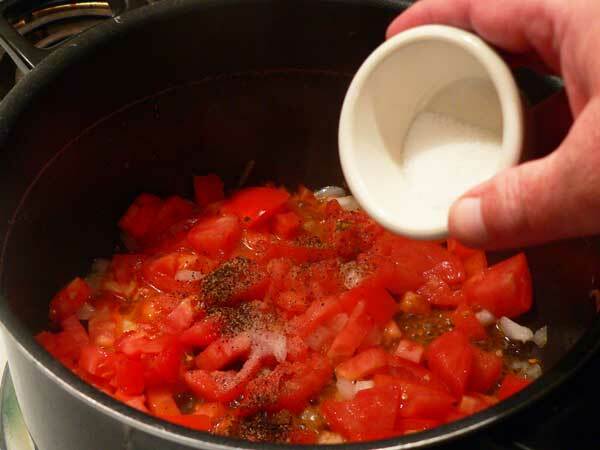 Save the bacon grease and use it to add some great old fashioned flavor to our Macaroni and Tomatoes dish. You can thank me later. Smile. So, if you’re ready, let’s head on out to the kitchen, and… Let’s Get Cooking. 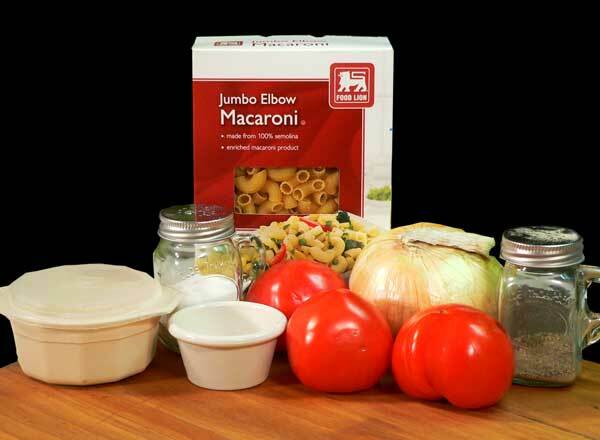 You’ll need these ingredients to make our Macaroni and Tomatoes. 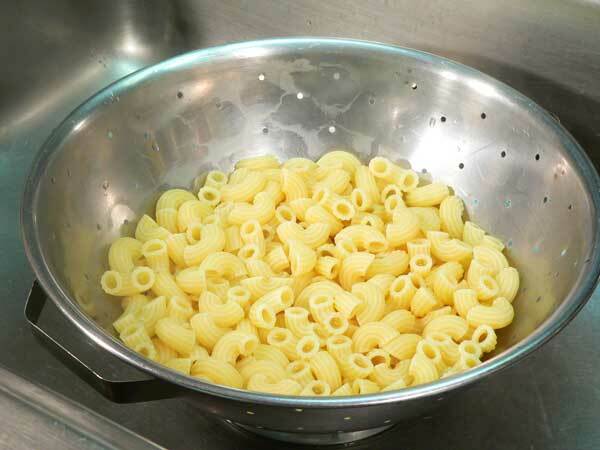 Once it’s done, drain the pasta in a colander and just let it sit until needed. Of course, while the pasta is cooking, it’s a great time to go ahead and dice the onions. 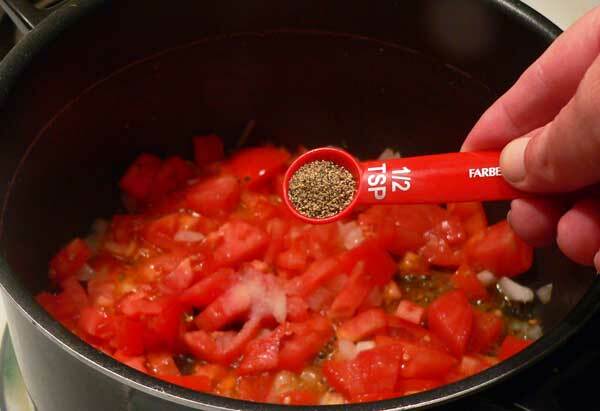 And go ahead and dice the tomatoes. I like to use the same pot that I cooked my pasta in to finish out the recipe. Rinse it out and place it back on the stove top over Medium heat. Add the bacon grease. Did I ask you if you save your bacon grease yet? Smile. 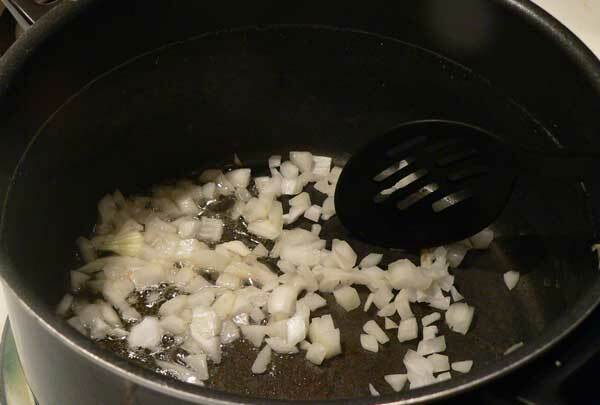 Place the diced onions in the pot with the bacon grease. Stir the ingredients together and let it cook gently until the onions are translucent. Add the cooked pasta into the pot, then gently stir everything together. Let this cook, stirring often, for about 5 more minutes. 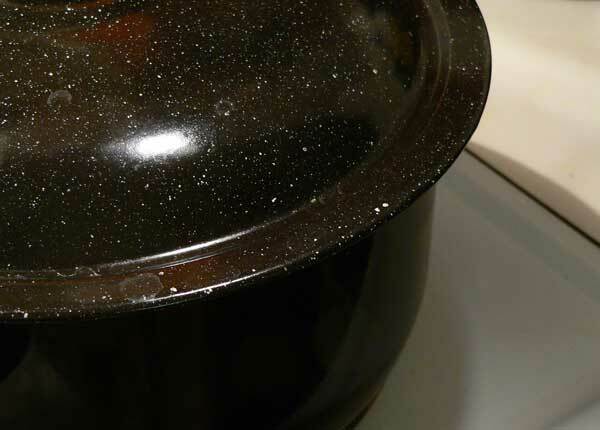 Once you have the pot off the heat, cover it with a lid. I used the lid from my canning pot. Can’t seem to find the actual lid that goes with the pot. I think it ran away at some point. Haven’t seen it in awhile. It was such a good lid too. Smile. Just let the Macaroni and Tomatoes rest for about 15-20 minutes before serving. This helps the pasta to better absorb the flavors. You’ll be glad you waited. Serve it while warm. Hoe Cakes just seem to go well with this. 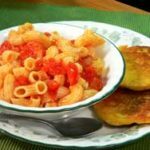 Follow our easy, step-by-step, photo illustrated recipe to prepare this old fashioned Macaroni and Tomatoes dish. Prepare pasta according to package directions. Drain. Set aside. 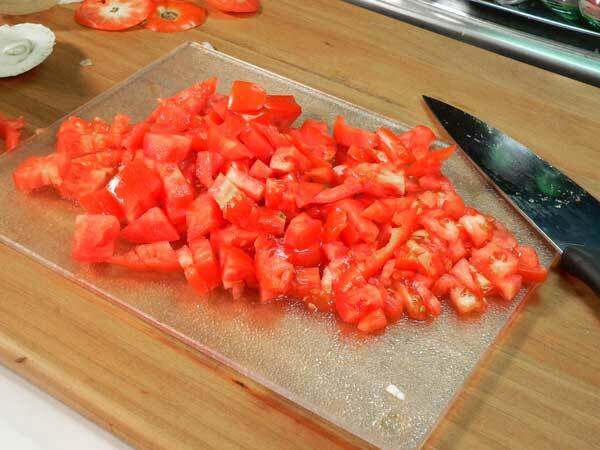 Dice tomato into small pieces. Place a medium sized sauce pan, over Medium heat, on your stovetop. 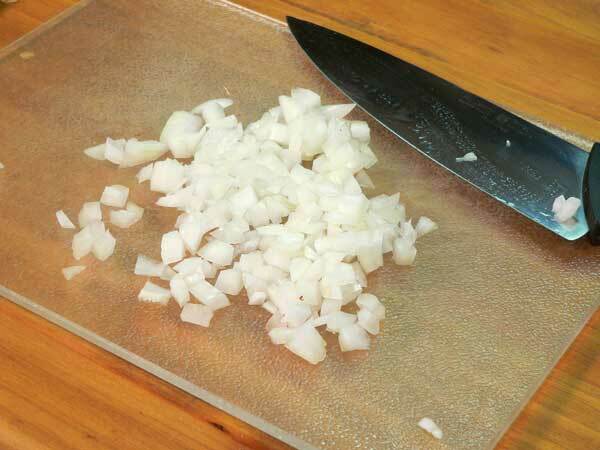 Stir ingredients together and cook gently until onions are translucent. Add the cooked pasta to the pot. Stir together, continue to cook for about 5 minutes more. Let sit for 15-25 minutes before serving. Canned diced tomatoes work well if you don’t have fresh ones. 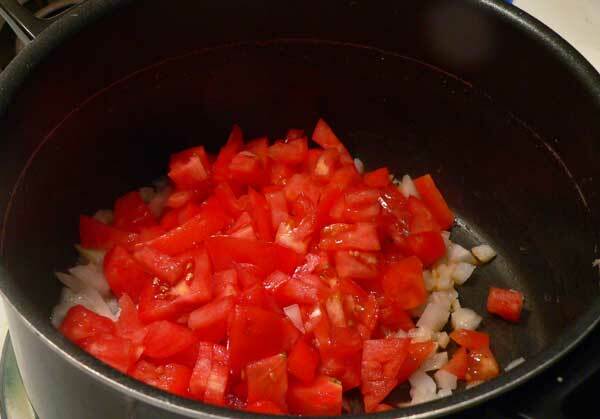 Just drain the juice off the tomatoes in the can before adding them to the onions. 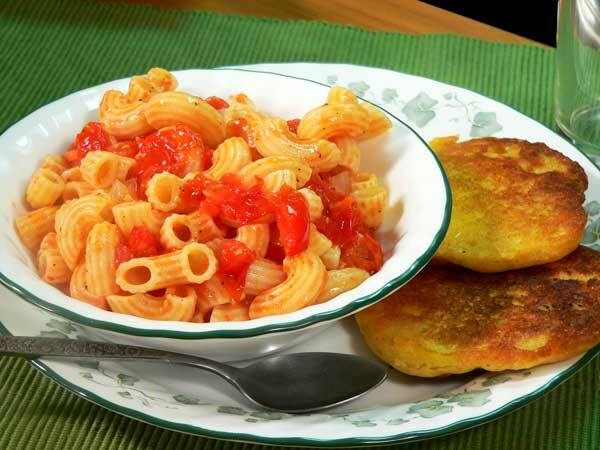 Ever made Macaroni and Tomatoes with fresh tomatoes? Share your memories of this great Southern dish with us. 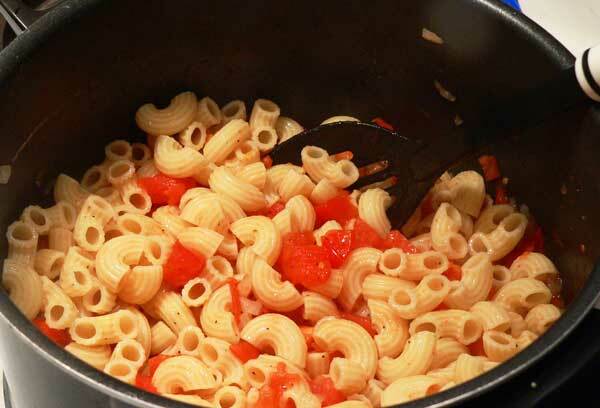 When I had 3 teenagers (and their friends) camped out in my home during summer school breaks, macaroni and tomatoes was my go to! A box of macaroni was under a dollar, a 28 ounce can of tomatoes was around $1.00, a knob of good butter and some salt,pepper, and sugar, and presto- a huge pot of hot, delicious food! Now they are grown and gone, but this is still a comfort food to me. How lovely to see it appreciated here. I’ve never macaroni with fresh tomatoes before. When I was a child, one of the dishes my mom would make from her childhood was macaroni and tomato juice, which was served with thick slices of fried bologna. The tomato juice was heated in the pan after the bologna was fried. I still make it every once in a while. Looks yummy! How about the recipe for those hoe cakes? Love your recipes, thanks so much for sharing. Sounds great! I have lots of tomatoes so this will be a good recipe to try this week. The hoecakes look great too. Think I’ll see if you have a recipe on your website for them. I have been craving them recently. I know we ate these very often as children but called them fried cornbread. I seem to remember my Grandma using bread dough and making pieces bigger than biscuits and either baking or frying them and we called them hoecakes. We would put syrup on them sometimes. Did you ever have anything like that. I live in VA so a lot of your recipes are things we ate also so I thought I would ask. Thanks for all your recipes and stories! I loved this dish growing up! My compliments to you. Hope to enjoy your newsletter soon. LAMBERTS RESTAURANT ADDS a very minimal SMALL amount of DICED GREEN PEPPERS – THIS I KNOW BECAUSE I EAT IT EVERY WEEK. WHY IS THIS LEFT OUT OF RECIPES? Macaroni and tomatoes were a favorite childhood dish my mom made, and I make it occasionally. I’ll have to make it again and add the bacon grease. Haven’t tried it that way. Thanks for the memory and recipe. I have no idea of the amounts of any of the ingredients but it was sure good..
Good Monday to you! That plate of mac & tomatoes looks divine. I have eaten many a bowl with the fried corn bread on the side. That is a complete meal, ha ha. I have 2 great big ripe tomatoes on the table and I know what is going to happen next. Let us know about your Mom’s spaghetti recipe and if meat grease is the special ingredient!. Have a beautiful and blessed week. Greetings from coastal Brunswick County. Hi Steve. I hope you are having a good morning. Thanks for this recipe. 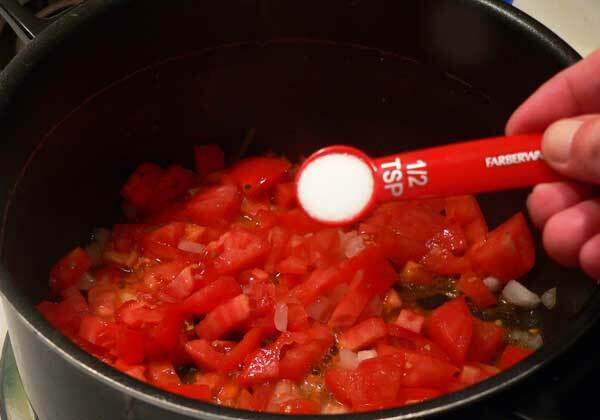 I always use home canned tomatoes. I’m actually canning as I type! I never thought about using bacon grease. I always use vegetable oil. I’m going to start making it your way. I’m sure it’s much better! Thanks again. Have a great day! Happy Monday morning. Mother-in-law always made this but dotted it with butter on top and added grated sharp cheddar cheese. Everyone I’ve served it to loved it. Add bacon and grease to it and serve on hot butter toast.Recipe from 85 years ago.